Richmond squirrel removal services should be left to experts. We know how to get rid of squirrels. When you’re in need of squirrel removal services, then you want professionals who handle the job promptly and thoroughly so that you can be comfortable in your home or work-space again. We provide quality squirrel removal services in Richmond, VA because we know what a nuisance they can be for both residential and commercial property owners. We’re able to remove squirrels from the attic humanely and repair the entryway to ensure they’re unable to return. You should also call if you have squirrels in the chimney, because they can do just as much damage to your building structure. If you believe that you have a flying squirrel problem in your home or workspace, it’s important that you call in the experts. We’ve been providing flying squirrel removal services in Richmond, VA for years, and we know the different squirrel species. One of the subspecies of this squirrel are on the endangered list, and by law, they must be humanely treated. We have the proper training and certifications to provide animal control services when it comes to flying squirrels in Richmond VA. When performing our animal removal service in Richmond, VA for your flying squirrel invasion, we understand that these animals have the unique ability to glide because of the membrane that stretches between their front and back paws. Because our Virginia animal pest control experts take into account their abilities, we’re able to find a solution for prompt squirrel removal and evict the squirrels safely. Grey squirrels are very common to the area and have grey fur and bushy tails. 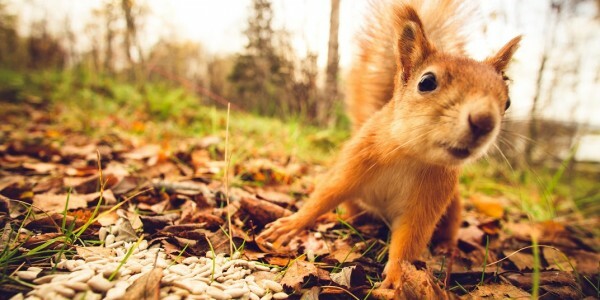 And while they seem like part of the landscape, when they start to invade your space, you need to call professional grey squirrel removal services in Richmond, VA. We’re one of the best animal control companies in Richmond because of our in-depth understanding of the wildlife we’re removing. Gray squirrels can weigh down power lines and damage siding, roofs, chimneys, and more. If you find them to be invading your property, take the time to call our wildlife removal professionals in Richmond, VA to get a free estimate. Our Virginia wildlife removal services are complete and we know that squirrels can be overwhelming to deal with. 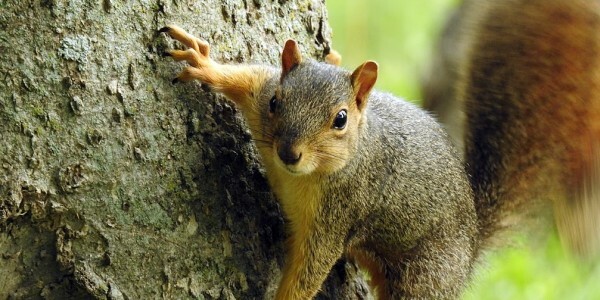 Our wildlife removal services will be the solution to your squirrel invasion problems.